Most people who take online surveys have lost interest in it. This is because most of these online survey panels have introduced a point system. This system helps users to gather points on each survey they take but users do not actually know how much they are making on each survey completed by them. 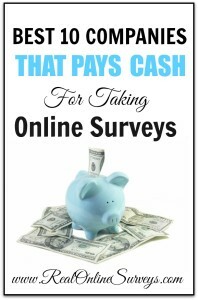 Most people who are told about online surveys then ask the question “Are there still online survey panels that pay cash?””. The Pinecone Research company is one of the best legitimate survey panels out today. It is hard to join because it is through invitation only. You are only able to get in by the people who have already joined. Pinecone Research sends out surveys a few times per month to members and pays $3 cash per survey via PayPal. Members also have the chance to get rewarded by testing free products mailed to them. This paid survey panel is one of the best available in the world today. Ipsos i-Say is especially a very good survey site because they have a lot of paid surveys that are available for anybody to take. The surveys always pay very well and their surveys take less time to finish when compared with other survey panels. They also have a loyalty program that they run and their means of payment is through PayPal. American Consumer Opinion offer surveys to everyone around the world. Members are able to take questionnaires several times a year. For each survey you are rewarded with either cash, points, or other rewards. You will need to accumulate at least 1000 points (equivalent to $10) to cashout. This paid survey company pays by check only for all members. This is another paid survey panel that actually lives up to the expectation of what online survey panels are expected to do which is paying users for expressing their views. Opinion Outpost has been available since 1987 and they have been able to carry out a lot of market research through their various online surveys. Every time there is a new survey, Opinion outpost sends it out to the e-mail of their various users. Opinion outpost also gives its members the opportunity to earn up to $5 per survey taken. This is based on the length and complexity of the survey. Members are able to convert their opinion points into cash and receive their payments via PayPal. MySurvey rewards its members with points that can be redeemed for prizes in the Rewards Catalog. Some of the rewards they offer are cash via PayPal, Amazon giftcards, Macy’s store certificate, and restuarant gift cards. I highly recommend this company for those looking for legitimate survey site that actually pay cash. If you ask any survey expert to give you a list of paid survey panels, one site that is sure to make this list is Swagbucks. 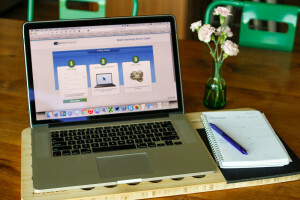 Swagbucks is one of the best online survey panels available and it helps its users to make cool cash with minimal effort. It provides its users with so many options to make money apart from voicing their opinion on certain issues. Swagbucks pay via PayPal and Amazon Gift Cards. 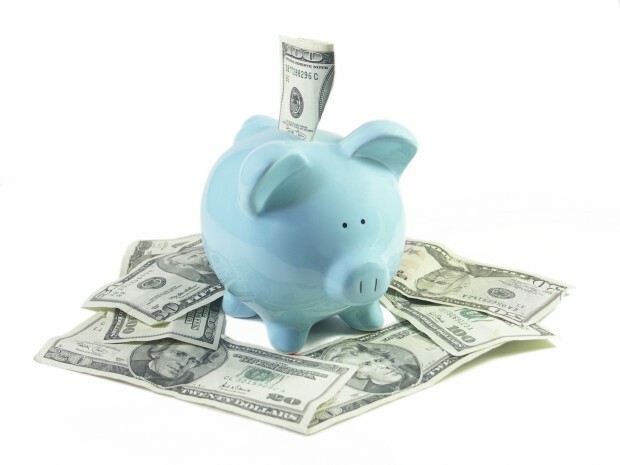 Vindale Research, offers cash to members with minimum threshold of $50. They also offer extra ways to make money be referring friends, completing offers, and more. Valued Opinions rewards members for taking online surveys with cash. The minimum amount to cashout is $20. 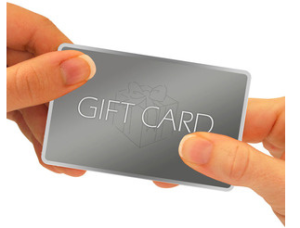 You are able to rewarded with store e-certificates and gift cards. Inbox Dollars is a great online survey company, free to join for everyone. You will receive $5 as a starter bonus just for registering on their website. Each survey pays around $0.50. They also have a referral program where you are rewarded for getting your friends to join. To request your payment check, you must have a minimum $30 in total. Pay is via check, and can sometimes can take up to 30 to 60 days to get processed. IPoll is one of the new online survey panels available on the block and in its short time; it has proven to be one of the best. One of the highpoints of joining iPoll is that you get an instant $5 for signing up. iPoll also gives its users various ways to make money apart from taking online surveys. They have a mobile app that helps users make money by doing their everyday activity like going to the mall. They also have various means of payment and you can cash out when you get to the $15 payout limit. 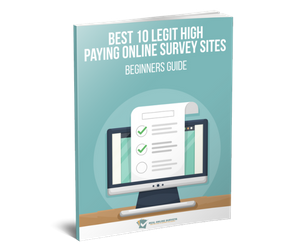 Apart from the survey sites listed above, there are also various online survey panels that pay very well but as a beginner, you can try these sites and I assure you that in little time you would be making that extra cash you desire. wrong about pinecone…do not need invitation from a current member…i am a member because i merely signed up online. i do not know any other members. But yes, it is one of the best sites ever for surveys!